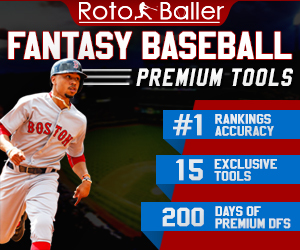 In this piece, RotoBaller will highlight a selection of starting pitchers owned in less than 50% of both CBS and Yahoo leagues that have favorable matchups in the upcoming week. 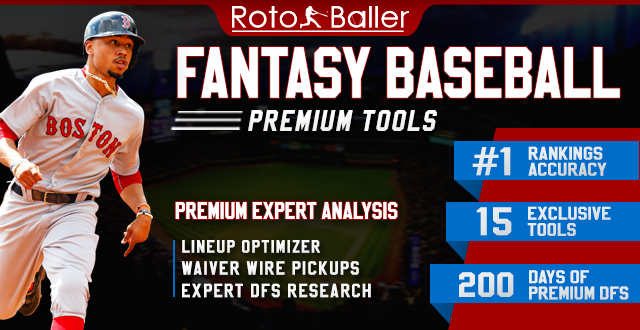 Whether you’re suffering from injuries, poor performance, or your league’s fantasy baseball waiver wire is barren, these undervalued pitchers could prove useful in the days ahead. 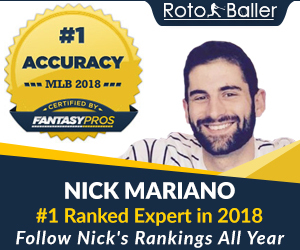 RotoBaller is going back to the well after successfully picking Colon last week. 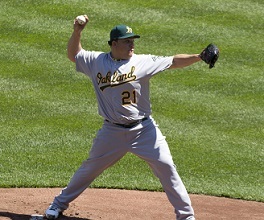 The portly right-hander has been very effective in 2013 with a 3.32 ERA, 1.05 WHIP and zero walks over 19 IP. He’s also had great success against current Red Sox batters, holding them to a career .214/.283/.388 triple-slash in 113 plate appearances. Aceves has been good in a relatively small sample against Oakland batters but he’s been terrible overall this year with 6.28 ERA and 1.28 WHIP in 14.1 IP. Colon is worth riding again on Tuesday. This game won’t exactly be on Major League Baseball’s marquee next Thursday, but Slowey might offer some value in his matchup with the Cubs. The former Twin has yet to register a win but has been terrific for Miami with a 1.90 ERA and 15/6 K/BB ratio in 23.2 IP. Yes, he’s been hit at a .316/.308/.553 clip in 39 PA by current Cubs hitters, but a closer look reveals that it’s mainly because of David DeJesus and his complete ownership of Slowey. His mound counterpart, the right-handed Edwin Jackson, has been below average in 2013 and Marlins hitters have strafed him at a .346/.415/.519 clip in 94 PA. As long as he can contain DeJesus, Slowey could see success this week. This selection is as much about Kendrick as it is Gee. Kendrick has been a good back-of-the-rotation starter for Philadelphia in 2013, as he’s got a 3.38 ERA and 13/6 K/BB ratio in 18.2 IP. He’s been OK versus current Mets batters with a .738 OPS against in 143 PA, but that looks Cy Young-esque when juxtaposed with Gee: on top of his wretched 8.36 ERA and 1.79 WHIP over 14 IP this year, the Mets righty has been positively destroyed by Phillies batters at an astonishing .400/.432/.771 rate in 74 PA. That’s a 1.204 OPS for those scoring at home, meaning Kendrick's a candidate for decent production and a cheap win next Friday.